Last night, the UFC returned to ESPN+ with the thirteen fight UFC Fortaleza card. Among the viewers for this stacked card was former UFC lightweight and featherweight champion Conor McGregor. Speaking on Twitter after the fight, the Irish MMA star shared his thoughts on the passionate fans that turn up for the UFC’s cards in Brazil, and announced that he hopes to compete in the country before his career draws to a close. Conor McGregor last fought on October 6, in the main event of UFC 229, on that night the Irishman attempted to reclaim the UFC lightweight title from undefeated champion Khabib Nurmagomedov, but ultimatately failed to do so, succumbing to a fourth-round rear-naked choke. After the fight, Nurmagomedov scaled the cage and attacked McGregor’s training partner Dillon Danis. McGregor then scuffled with two of Nurmagomedov’s training partners inside the cage. Unsurprisingly unimpressed by this chaotic scene, the Nevada State Athletic Commission (NSAC), recently disciplined the fighters involved. Conor McGregor received a $50,000 fine and six-month suspension, while Khabib Nurmagomedov received a $500,000 fine and a nine-month suspension that can be reduced by three months if he completes an anti-bullying campaign — although he does not seem interested in doing so. 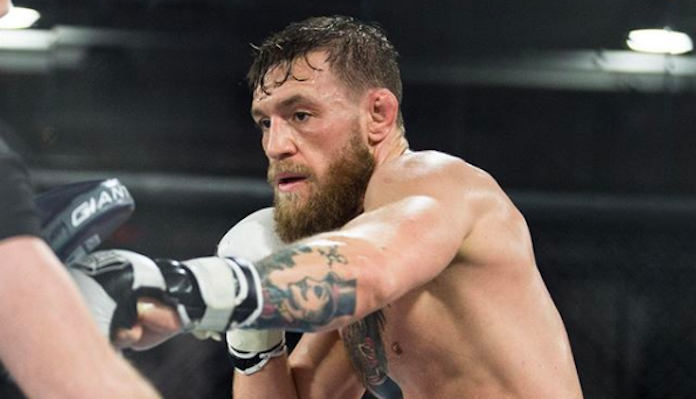 Do you think we’ll see Conor McGregor compete in Brazil before his career is over?